Full step by step guides with clear photos and illustrations showing everything you need to know. 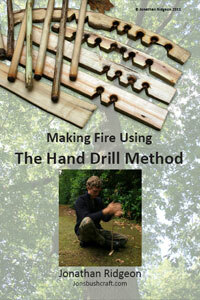 One of the most popular Bushcraft activities. 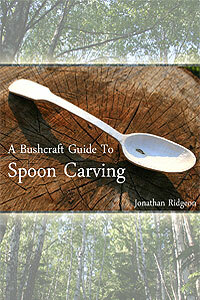 Learn how to take a branch and transform it into beautiful spoons. 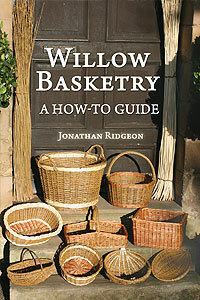 The series of step by step projects in this book will teach you the fundamental skills and techniques as used in many every-day baskets. 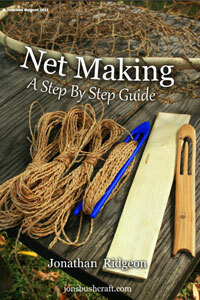 Learn the incredibly useful skill of net making. 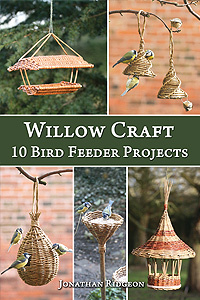 With this knowledge you'll be able use the techniques to make gill nets, landing nets, keep nets, fish traps, net bags, hammocks and much more! 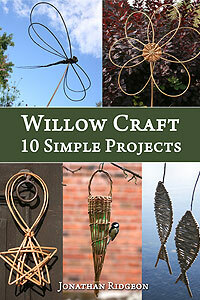 This book will show you how to make some of the most popular and inspiring willow craft projects other than baskets. Having trouble mastering the technique? Or want to learn this amazing skill from scratch? Then this in-depth guide if for you. 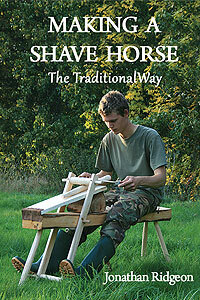 Learn how to get started with the art of wood carving. 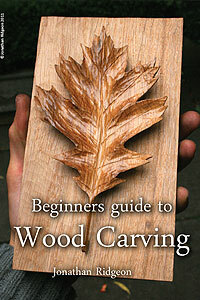 EBook includes sections on: Tool selection and brands; carving techniques; wood types; sharpening tools; and a full step by step tutorial showing how to carve a leaf in relief... a perfect beginners project! Note: Cards accepted; PayPal account not needed.